Is Germany's far-right wading into Nazi territory? The AfD, which entered Germany's parliament with almost 13 percent of the vote last September, often makes headlines with hate speech before usually backing away from the most incendiary comments. A Turkish group in Germany said Thursday it was taking legal action against a lawmaker of the far-right Alternative for Germany (AfD) who defamed the ethnic minority as "camel drivers". 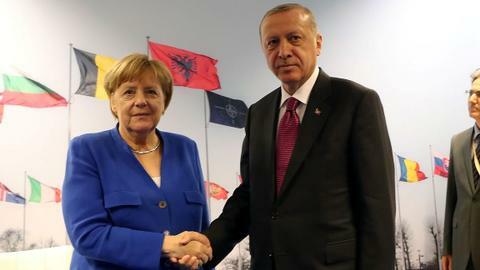 The latest controversy sparked by the anti-Islam and anti-immigration AfD party came as Turkish Prime Minister Binali Yildirim met Chancellor Angela Merkel on a visit aimed at healing frayed relations. President Frank-Walter Steinmeier said he condemned extremist politicians who make "ruthlessness and hatred ... their strategy". A lawmaker in the formerly communist eastern heartland of the party, Andre Poggenburg, on Wednesday, attacked Turkish immigrants over criticism of German plans for a new "homeland" ministry. "Are they crazy?" he told several hundred mostly-male AfD supporters in Nentmannsdorf, a village near Dresden. "These camel drivers should go back to where they belong, far beyond the Bosphorus, to their mud huts and multiple wives." He also labelled dual passport holders with Turkish roots as "landless rabble we don't want here anymore," sparking shouts of "deport them!" from the crowd. Gokay Sofuoglu, chairman of the Turkish Community in Germany organisation, which represents the three-million-strong minority, said it would take legal action under hate speech laws. Prosecutors in Dresden said they had launched a preliminary investigation. Poggenburg, the AfD leader in the state of Saxony-Anhalt, later defended his comments as "pointed political satire" in the tradition of Ash Wednesday when German politicians make gloves-off remarks about each other. 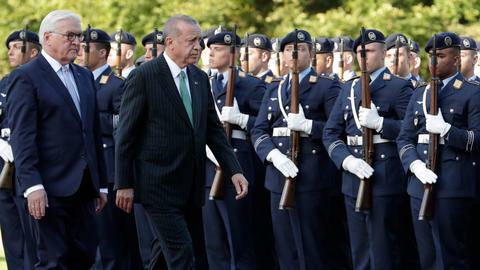 The slur comes at a time when Germany and Turkey are seeking to restore ties after relations between two countries have reached their lowest point in recent years. Poggenburg's comments were widely condemned in Germany, with even AfD national leader Joerg Meuthen saying they "clearly went too far and should not have been made." 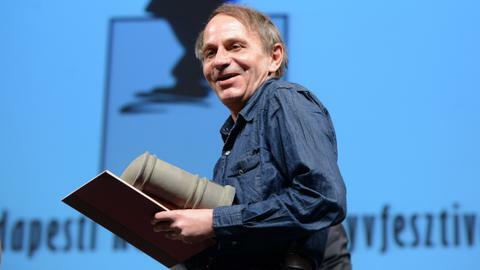 A regional politician of the far-left Die Linke party, Rico Gebhardt, said the language was like that of Nazi propaganda chief Joseph Goebbels and was "inexcusable and a shame for a civilised country". 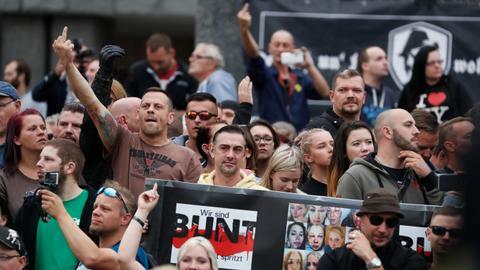 The state premier of Saxony, Michael Kretschmer, said the AfD was showing its "true face." 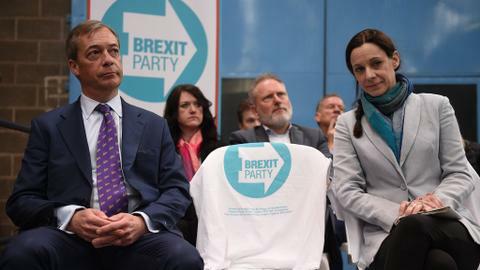 And Social Democratic lawmaker Johannes Kahrs suggested the AfD be placed under surveillance by the domestic security service BfV which monitors radical groups. The controversy follows public anger against another AfD member, Peter Boehringer of Bavaria state, who in a foul-worded group email allegedly branded Merkel a prostitute. The AfD was launched at the height of Europe's sovereign debt crisis in 2013 on an anti-euro platform, but from 2015 turned its anger against a mass influx of mostly Muslim asylum-seekers. At Wednesday's event, reported Die Welt daily, one of its most extremist members, Bjoern Hoecke, openly greeted supporters of the street movement PEGIDA, short for Patriotic Europeans Against the Islamisation of the Occident.